NEURO2019 provides housing support for young oral/poster presenters. We will book and prepare about 50 rooms in total. Go to the registration page and click abstract submission button, then application button appears. Recipients must bear all expenses if they stay at hotels of their own choice or stay extra nights. The NEURO2019 Secretariat is in charge of hotel booking arrangements. To apply for the award, you need your supervisor’s Name, Affiliation and Email address. Apply from the registration site. 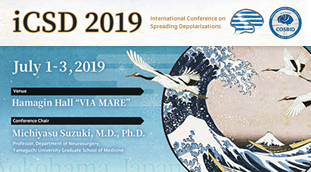 Those who have already registered for NEURO2019 click “Confirm or Modify Your Registration”. Neuro2019 Secretariat : A&E Planning Co.,Ltd.